Book after book has been written on identifying different types of personalities. Chances are you’ve taken the Myers-Briggs Type Indicator (MBTI), the Riso-Hudson Enneagram Type Indicator (RHETI), or something of the sort. 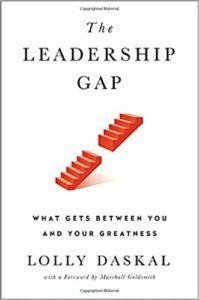 But there’s a new theory out, as outlined in The Leadership Gap: What Gets Between You and Your Greatness by Lolly Daskal, that’s worth looking into as a leader. Daskal suggests that there are seven leadership archetypes that lead to success but within each one is an opposing counterpart that leads to a gap. She argues that leaders must not only know their strengths but also their potential for gaps in order to succeed. The Rebel is confident but can become the Imposter, who is plagued with self-doubt. The Explorer is constantly looking for boundaries to test but can become the Exploiter, who is a master manipulator. The Truth Teller is sincere and honest but can become the Deceiver, who withholds information and creates a culture of suspicion. The Hero is courageous but can become the Bystander, who is paralyzed by fear. The Inventor is always looking for new ways to improve but can become the Destroyer, who is willing to cut corners. The Navigator helps guide an organization to greatness but can become the Fixer, who tells people what to do rather than showing them how. The Knight is loyal but can become the Mercenary, who is self-serving. The key here isn’t to put yourself or people in your organization into a box. Being a good leader means understanding that all of these personality types exist – and that they can change. By understanding the differences, you can make more confident decisions about your workforce by knowing when to dig in, when to back off, and how to manage teams of all different personality types. And identifying these qualities in yourself can also help you see potential downfalls and hurdles ahead, and allow you to pivot to play to your strengths, not succumb to your weaknesses. Click here to read the book and for more information on what makes a successful leader, check out the Smart HR blog.